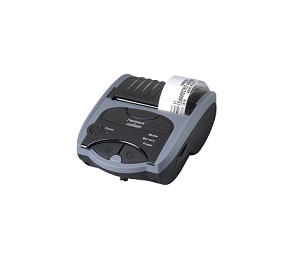 CAMARILLO, Calif., July 13, 2011 (SEND2PRESS NEWSWIRE) — AMT Datasouth Corp. a leading supplier of value added printing solutions, announced today that, the Fastmark PT-1 battery powered portable thermal bar code printer is now available. The Fastmark PT-1 is supplied with AMT Datasouth’s proven proprietary PAL(TM) programming language. AMT Datasouth has been selling Fastmark portable printer solutions for more than five years. Our latest portable printer provides the latest technology in a compact package at an attractive price. Coupled with PAL, the PT-1 is particularly suited for printing applications where the printer needs to interface with legacy systems or where changing systems to support new applications is not practical. AMT Datasouth’s proprietary PAL printing and programming language easily enables users to interpret, translate, filter, add to and format almost any data stream sent from any host running any application. Vertical markets served by PAL include, healthcare, pharmaceutical and warehousing, among others. The Fastmark PT-1 printer is rugged, durable and lightweight at only 1.5 pounds with media and battery. Its clam shell design enables easy loading. Print lines can be up to 2.8 inches wide at speeds up to 3 ips. And, the PT-1 is easy to carry and has an optional belt clip or shoulder strap. AMT Datasouth Corp. has been a leading supplier of specialty printers for the bar code and forms printing markets since 1983. AMT Datasouth sells its products through value added resellers and OEM’s worldwide. For more information about the Fastmark PT-1, PAL and all of AMT Datasouth’s products, or for information on becoming a reseller, please visit our website at www.amtdatasouth.com .